My thirteenth discovery, confirmed on 2015 October 14. GSC 03481-01448 is a semi-regular variable in Bootes with a possible period of about 65 days. 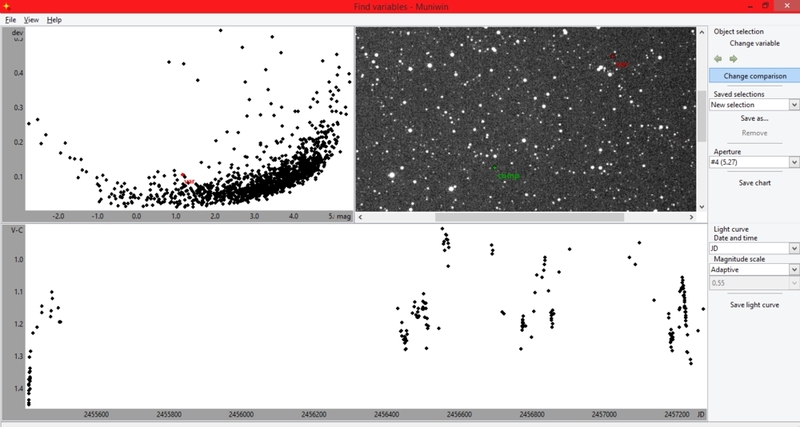 Above is the first light curve constructed via AIP4WIN, derived from 97 unfiltered images taken with the Bradford Robotic Telescope Cluster Camera between 2014 01 23 and 2015 09 06.